Gents calls on Christmas enthusiasts everywhere to buy the #reallyuglysweater in support of SOS Children’s Villages and its projects in Aleppo and Tartus. 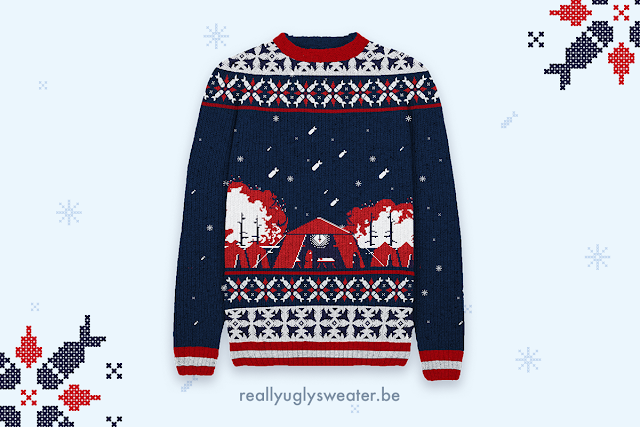 There are ugly Christmas sweaters. And there’s the #reallyuglysweater. Take a closer look at it and you’ll see: the normally oh-so-peaceful crib is being bombed in the midst of a Syrian refugee camp. An ugly but very real scene for all those struggling in Syria on a daily basis. Gents created the fashion statement of the year to showcase the other side of the holidays and to ensure a truly merry Christmas for all children. One ugly sweater at a time. 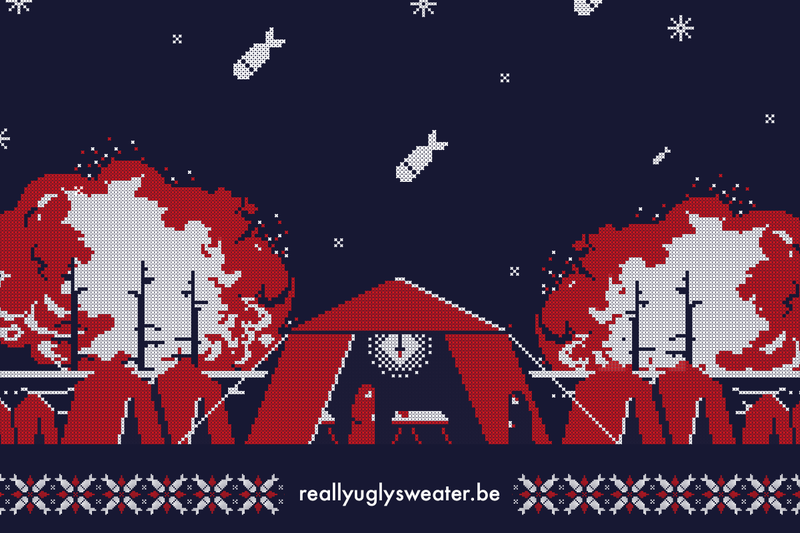 Buy your #reallyuglysweater at reallyuglysweater.be and support Syrian kids in need. The proceeds will be donated to SOS Children’s Villages. SOS Children’s Villages has been working in Syria for the past 30 years. Since the start of the civil war in 2011, the organization has increased its support in the country further. Today, about 200 children out on their own can find a new home in one of the two children’s villages in Damascus. In Tartus and Aleppo, SOS Children’s Villages provides temporary shelter to more than 300 unaccompanied children, with the aim of reuniting them with their families as quickly as possible. Another 2,500 children can go to the SOS child-friendly spaces during the day, where they can play, learn and grow in safety. We are an independent, passionate and quirky interactive boutique agency powered by a team of fearless and open-minded digital natives. We focus on generating smart synergies between brands and their relations. We strongly believe in interactive communications and innovative experiences. We are a full service agency for brands with the ambition to lean into tomorrow. We act as a genuine partner, whether we’re increasing awareness, creating innovative mobile tools or developing a new consistent strategic platform.